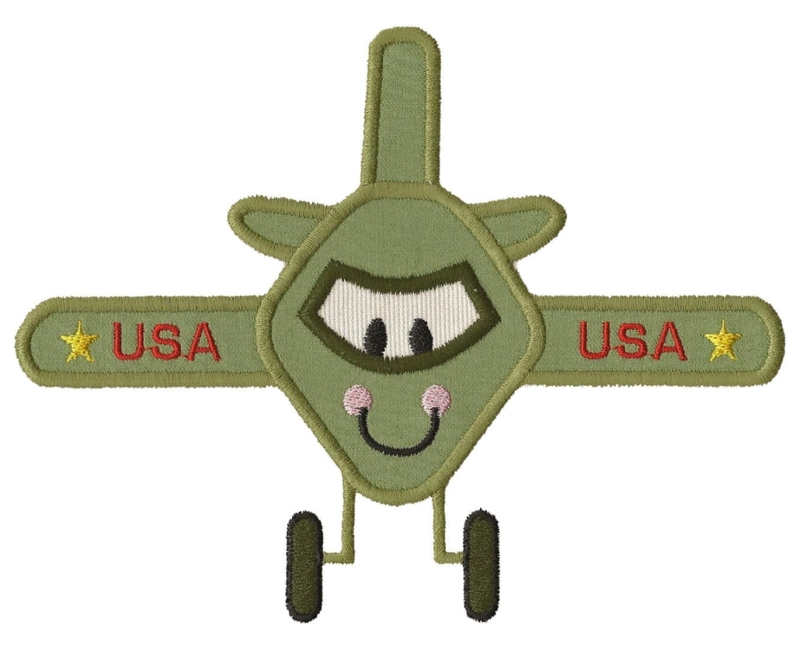 Friendly Plane Applique - 3 Sizes! Plane may have a smile on - but he gets the job done! Little boys will love this one! I think it would look good in a small camouflage print! The small size has an embroidery windshield & no lettering on it. If you do not want the star or lettering, or even the windshield, you can skip these items. Includes 4x4, 5x7 and 6x10 sizes. 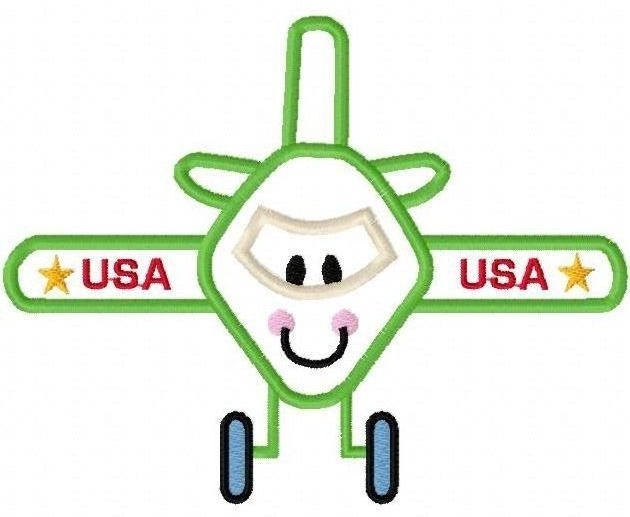 Plane may have a smile on - but he gets the job done! Little boys will love this one! I think it would look good in a small camouflage print! The small size has an embroidery windshield & no lettering on it. If you do not want the star or lettering, or even the windshield, you can skip these items. Includes 4x4, 5x7 and 6x10 sizes. Happy Train Applique - 3Sizes! 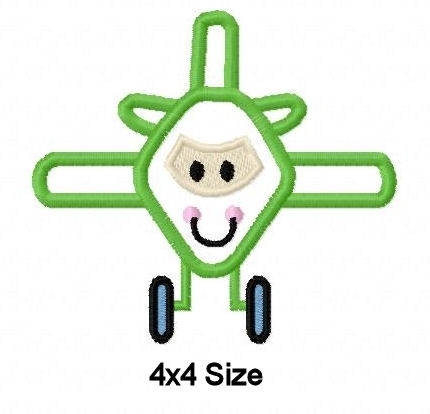 Happy Plane Applique - 3 Sizes! Finish Size 3.80" x 3.47"
Finish Size 5.40" x 4.22"
Finish Size 6.51" x 5.09"